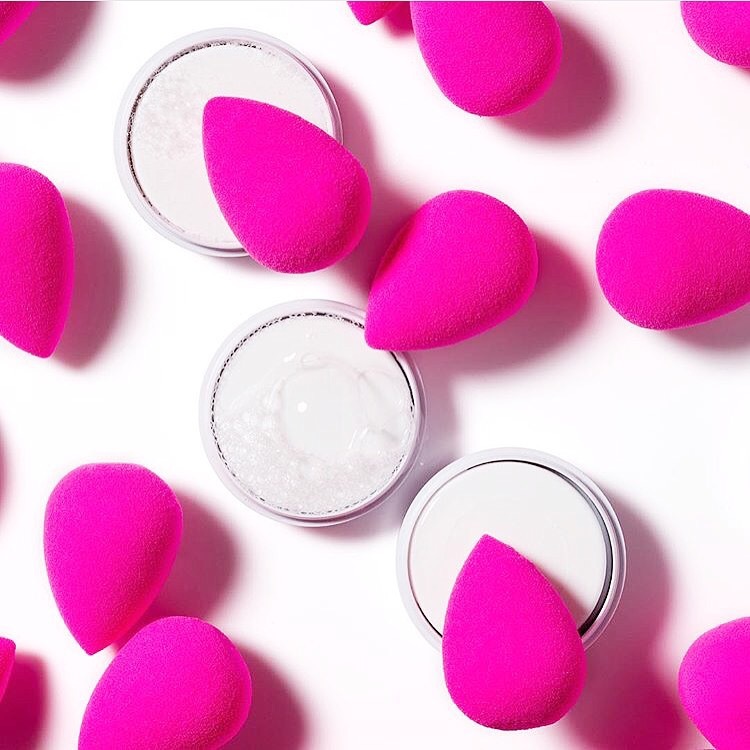 Beauty Blender or Face Brushes? You don’t need a dozen brushes to apply foundation, cream contour & highlight, concealer and then blend them, and not to mention setting them with powders if you use a Beauty Blender. I would definitely go for the Original Beauty Blender (from the brand- the pink one) and not go for any dupes because, hello, your skin needs the best out of the best and I believe the Original Beauty Blender is PERFECT! It makes blending a dream come true! That soft damp touch on the face is like therapy every morning. My clients love when I use the Beauty Blender and they say it feels so nice on the skin that they want to sleep! It absorbs excess makeup. Any time you’ve put too much blush or highlight or just anything on your face, dab a damp Beauty Blender and it absorbs everything that is unnecessary! Travel friendly because it literally saves all my space that goes for my foundation brush, concealer brush, mini stippling brush and setting brush. It might sheer out of your makeup too much. But this happens only if you dab too much so take control and dab like you would on a baby! It’s the price, because you have to replace it every 30 days (*not exactly sure how often you should replace it. Some people say 30 days, some say every other month and some even say every 3 months) It’s expensive compared to brushes as you can use them for years, but I’ve been using a Blender for more than month with regular cleaning (I use gentle face wash) and it’s still in good condition. I do keep a back up all the time in case I feel like it’s time to throw it away. Other than the price, I’m in love with the Beauty Blender. It’s kinda hard to go back to brushes once you go for this. I also have the Micro Mini Blenders for concealers and other precise application. I love them for cream contour and highlight but they’re not an absolute necessity if you have the original one. You just need to practice so that you won’t over-blend. Let me know what you prefer more… Brushes or Beauty Blender? I’m also in love with the beauty blender, I feel my brushes just got useless!